Installing Joomla on Rackspace Cloud Sites is easy with our step by step guide. 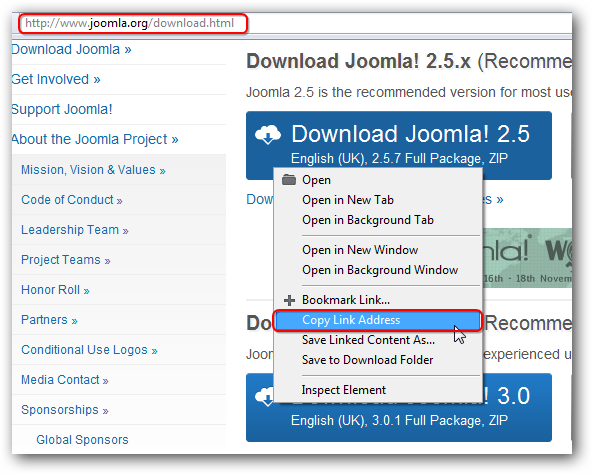 Follow our guide and within few minutes your Joomla site will run fine. No shell commands, no downloading and unzipping manually, all is semi automated. Let us get started for Installing Joomla on Rackspace Cloud Sites. We will use a script for easy work to partially automate installing Joomla on Rackspace Cloud Sites. Modify that script and put it in root to run. In either case, the ultimate result will be the same. If you can not follow any of the above, please uncompress the downloaded file and upload all the uncompressed files to root of var/www/ folder. Check in SFP by refreshing your root of /var/www folder. Simply point to your domain name, it is a wizard like installation, fill the form and complete Installing Joomla on Rackspace Cloud Sites. This Article Has Been Shared 7810 Times! Cite this article as: Abhishek Ghosh, "Installing Joomla on Rackspace Cloud Sites," in The Customize Windows, October 10, 2012, April 24, 2019, https://thecustomizewindows.com/2012/10/installing-joomla-on-rackspace-cloud-sites/.